We take incredible pride in products that are made by one craftsman, start to finish. We do not use assembly lines and our products are not assembled with parts made offshore. Each Kuma product has the finish details you would expect on a hand-made product. 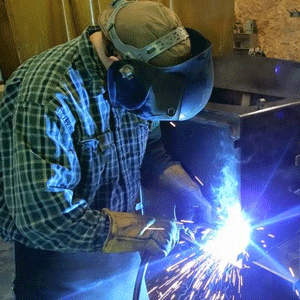 All stoves and grills use laser cut precision steel and come with an industry leading warranty. Kuma Stoves is still family owned and operated, so when you purchase a Kuma, we can honestly say it is from our family to yours. 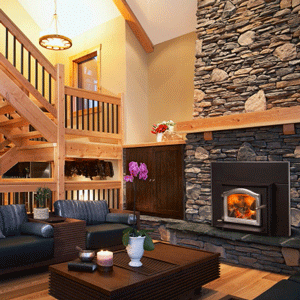 Kuma wood burning stoves and fireplace inserts are among the most efficient available. 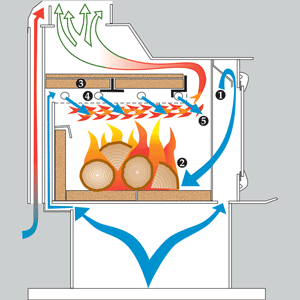 This illustration shows how our combustion system works: Primary air (1) is drawn in and washed downward, keeping the glass cleaner. The air engages the fuel in the coal bed (2) and primary combustion occurs. There remains however a large amount of volatile, unburned gases that will ignite and burn in the presence of heat provided by an insulated refractory baffle system (3) and pre-heated secondary oxygen. Thus, air emitted from a secondary source, in this case stainless steel burn tubes (4), mixes with these now super hot unburned gases and they ignite and burn (5). This creates an efficient secondary burn. All Kuma wood burning products meet the latest EPA certification standards. 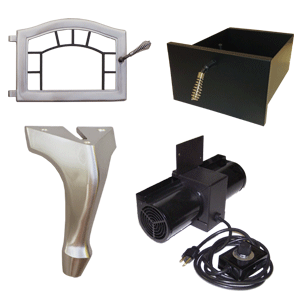 Our wood stove line is designed to provide quiet comfort with easy to use features. With forced air furnaces, only the air is conditioned, so the air temperature in the home changes rapidly when the furnace shuts off. Kuma wood stoves produce a unique combination of radiant and convection heat to warm your entire environment. This design provides longer lasting comfort in the home. Our pellet grill uses smart temperature control to provide natural wood fired cooking with the convenience and features of a high end kitchen appliance. Wood burning is not only a renewable fuel source, it also has a positive environmental impact. 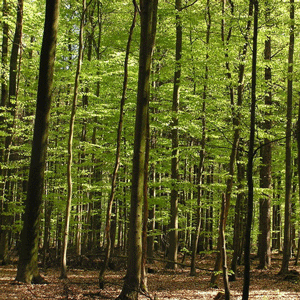 As trees grow, they absorb carbon dioxide (CO2) as they use energy from the sun. When a tree decomposes or is burned, the carbon that is stored in the tree is released back into the air. Using Kuma wood burning products will use produce no more carbon dioxide into the atmosphere than a tree rotting on the forest floor, making it carbon neutral. Additionally, all Kuma stoves emit on average 15 times less particulate matter into the air than older, non-certified stoves. Kuma products are packed full of features that are designed to make your home beautiful and simple. Our blower fans use variable speed and thermostat controls to help them run quiet and efficient. With Kuma's unique ash pan systems you never need to dig around in your stove for a brick or a plate to remove the ashes, they simply fall through a grate as you tend your fire. All Kuma wood stoves can be accented with beautiful 24K gold and hand brushed pewter options. Our pellet grills feature a grilling/searing zone that is hands down the most innovative and easy to use on the market and our grills come standard with a pellet hopper dump, a must have if you enjoy cooking with a variety of wood flavors.